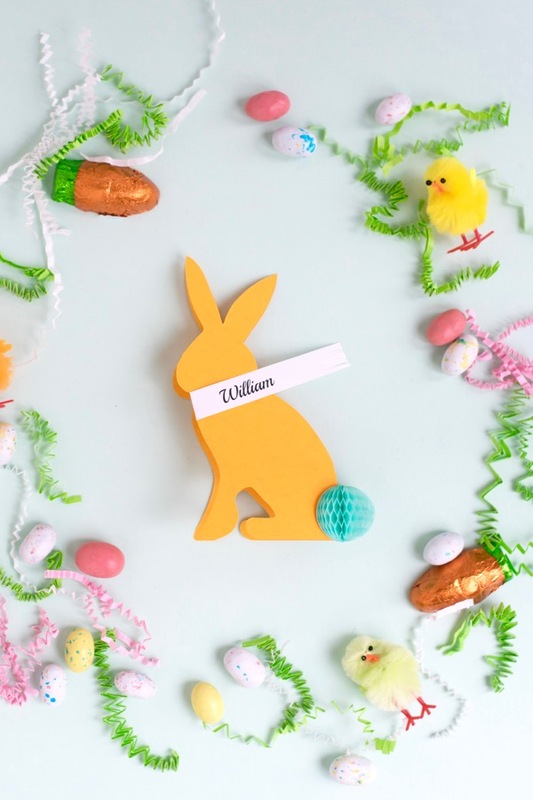 Here comes Peter Cottontail, hopping down the Bunny Trail – yes, Easter’s on its way! 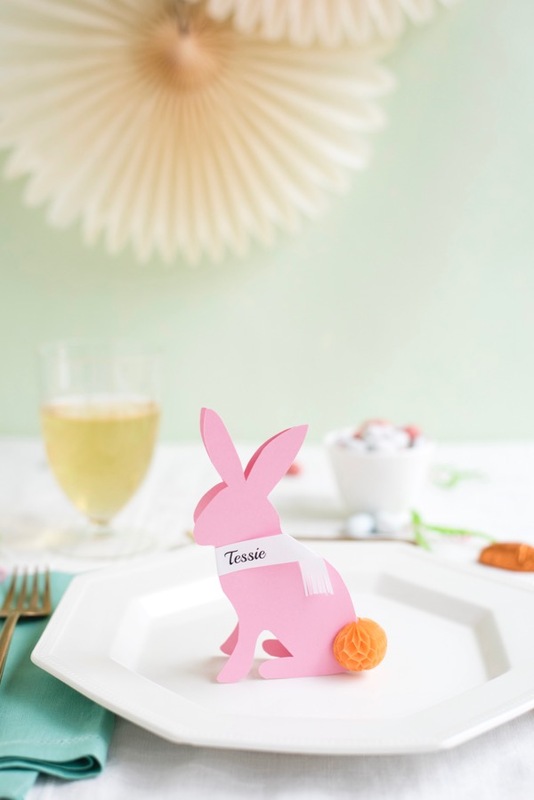 Add some charm to your table with these cute little rabbit place cards. Want to give kids something to do? 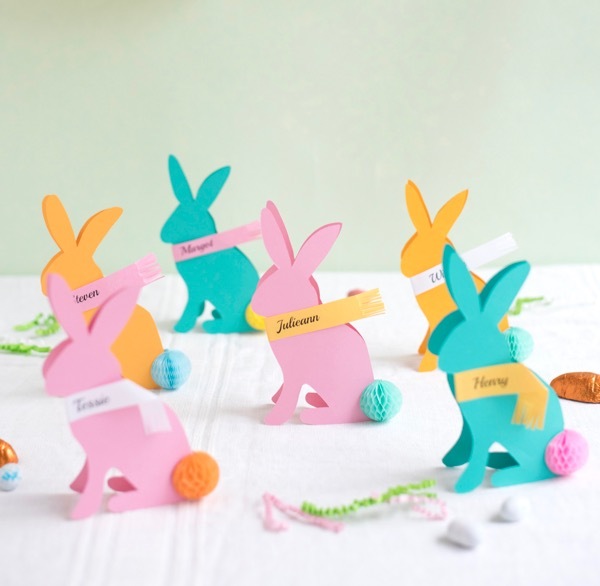 Have them cut out and write guests’ names on the scarves for a sweet handmade touch. 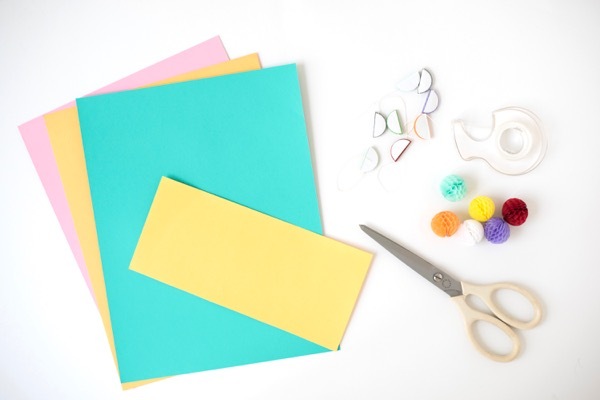 Materials needed: colorful card stock, scissors, Bunny Place Card Template, 1” honeycomb balls, colored paper, double stick tape. 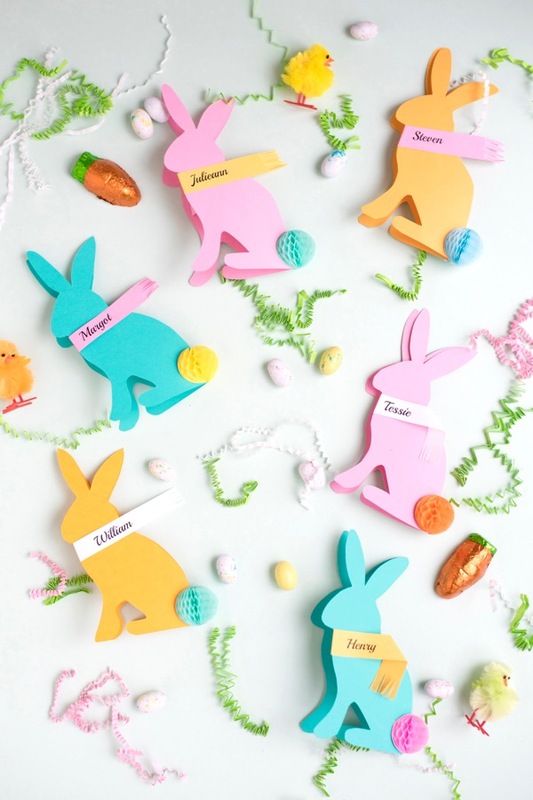 Step 1: Download and print out the Bunny Place Card Template directly onto colored card stock. Step 2: Fold the paper on the dotted line (the rear end), and cut out the bunny from the folded paper. Step 3: Using double stick tape, attach a honeycomb ball on the rear end for a tail. 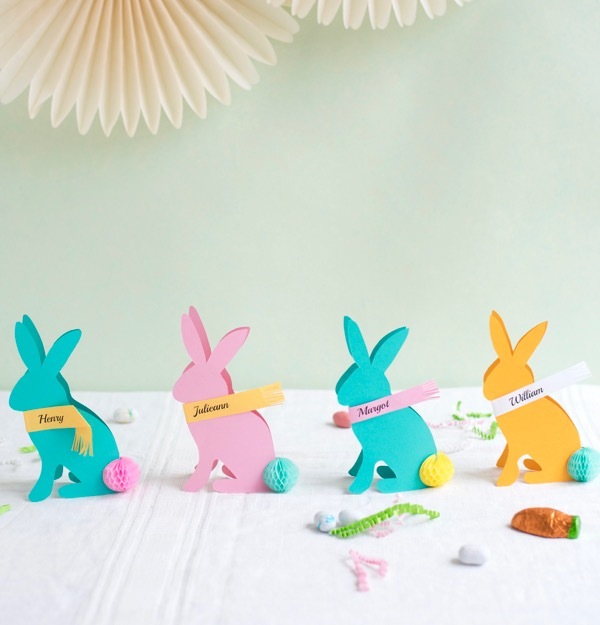 Step 4: Print out your guests’ names onto colored paper, leaving room on each side to cut out a 4” strip of scarf. Cut out around the names and cut fringe into the right side of the name. 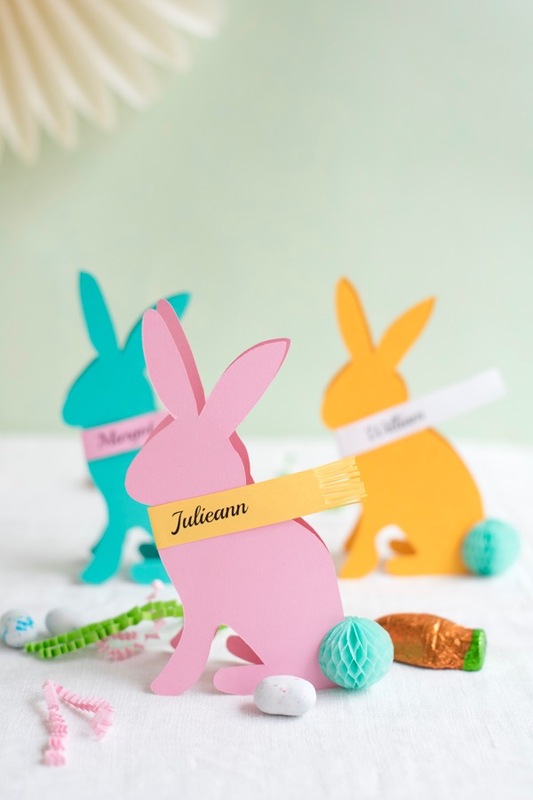 You could also simply handwrite guests’ names as well. Step 5: Attach the scarf around the neck of the bunny using double stick tape. Fold the fringed end if you wish. 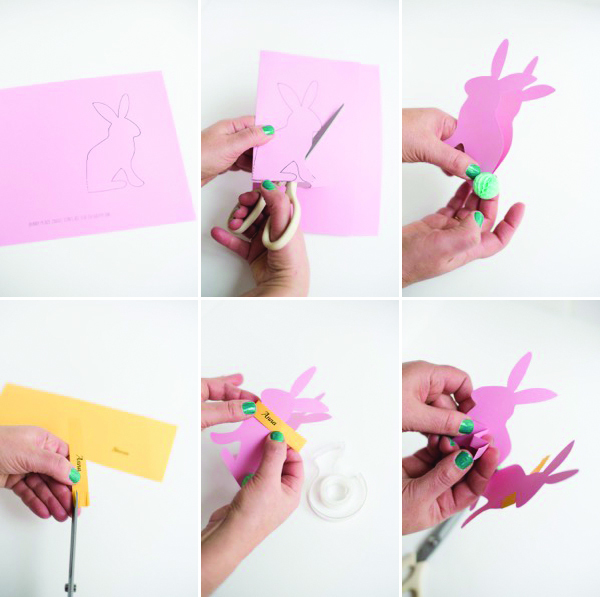 Step 6: Cut a ½” x 1 ½” strip of card stock the color of the bunny. 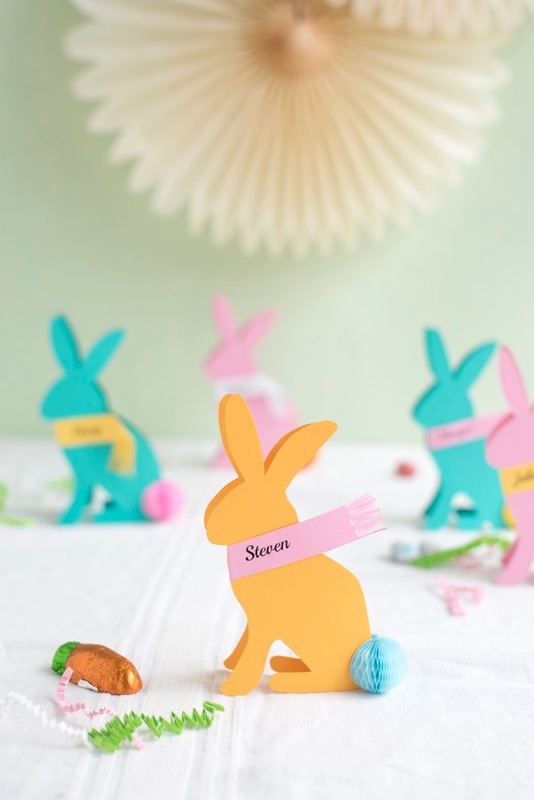 Fold the strip into an accordion shape, and using double stick tape, attach each folded end in the interior of the bunny. 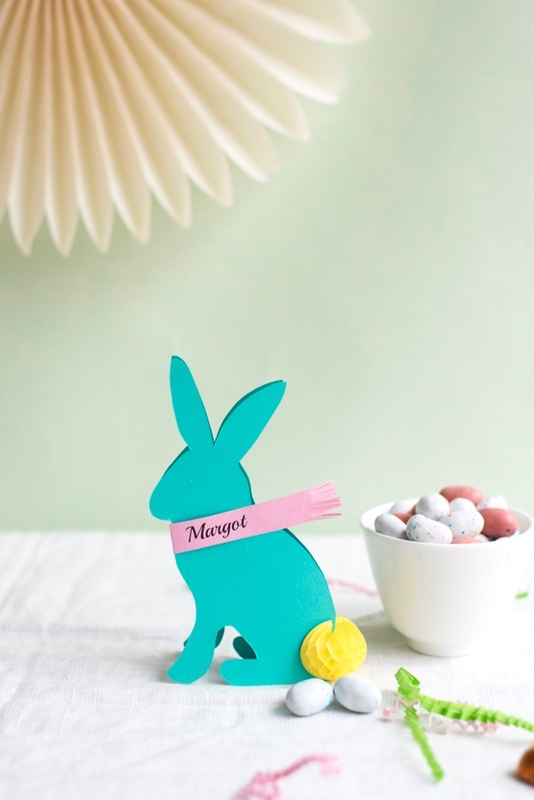 This will help the bunny stay in an upright and stable position on the table. So cute! Thank you for sharing the pattern. Fantastic craft. It very easy to prepare. I really enjoy your blog post. Thank you for sharing. Please update your post.